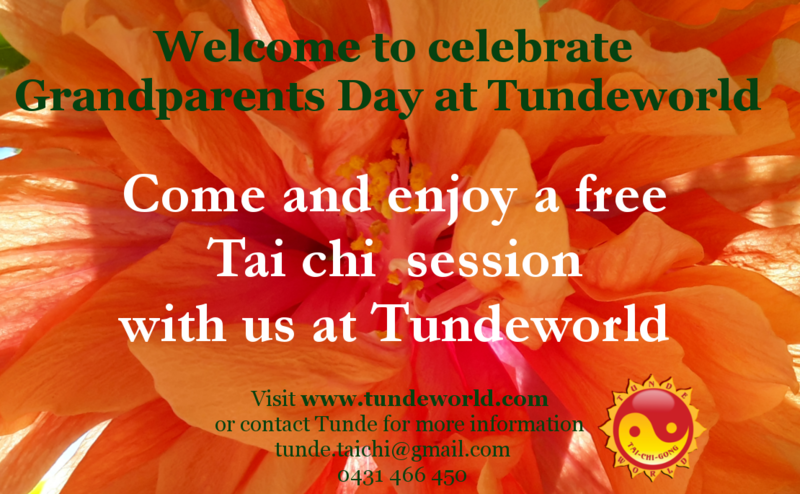 Welcome to celebrate Grandparents Day with Tai chi & Qigong at Tundeworld. | Tundeworld! Welcome to celebrate Grandparents Day with Tai chi & Qigong at Tundeworld. Each session is open for free for all grandparents from 15 October to 12 November 2017. Please note this offer is for no Tundeworld member.